The Sun Also Rises [Three Things Thursday] – my books. my life. 1. Hemingway’s first novel follows a gang of expatriates living in post-WWI Paris as they set off for a weekend in Spain for some drinking, flirting, and the running of the bulls. 2. It made my best of 2007 list. But that may just be because I love Hemingway. A lot. So amazed by his ability to put so much into so few words. 3. We all know about the Lost Generation but I think this book really captures that “lost” feeling. The characters seem to be simply wandering. Wandering from drink to drink, from man to man (in Brett’s case), wandering from place to place. You kind of want to give them a hug even if they annoy you. 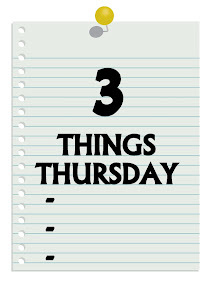 Three Things Thursday is a weekly feature where I review books I read prior to blogging by sharing just three things about them. I have never read anything by Hemingway before, but I think now might be the time to start. The book sounds like it has a lot going for it, and despite the fact that I have heard that his writing style is gruff and terse, I might have to give this a try. Thanks for sharing your thoughts with us! I am embarrassed to tell you that I’ve never read Hemingway. And me in Florida! I should be shamed. 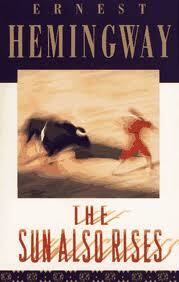 I need to have a Hemingway readathon.